The romantic, leisurely and fun-filled days at Veligandu drift into fabulous evenings, filled with diverse events. To uplift your spirits and keep up the good vibes even at night-time, we have prepared an exciting programme of entertainment to ensure your days end on a high note. 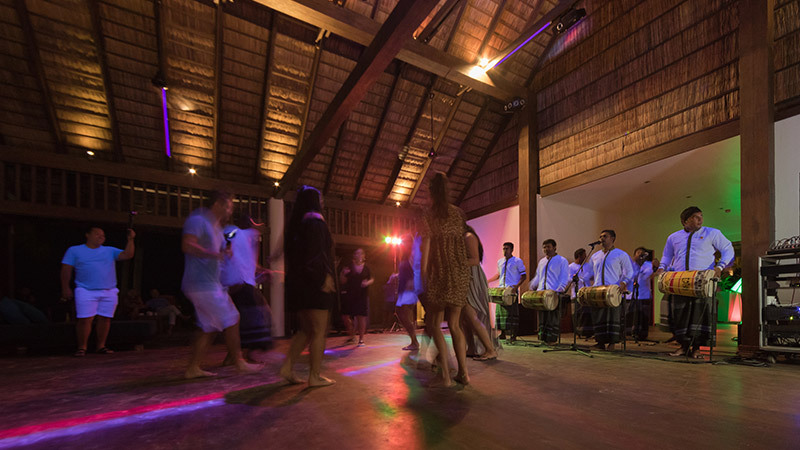 Enjoy live music, movie nights, cultural dance shows, DJ parties and more amusing events in the Maldives. Take a look below to find out what’s on tonight! All events take place at Thundi Bar.